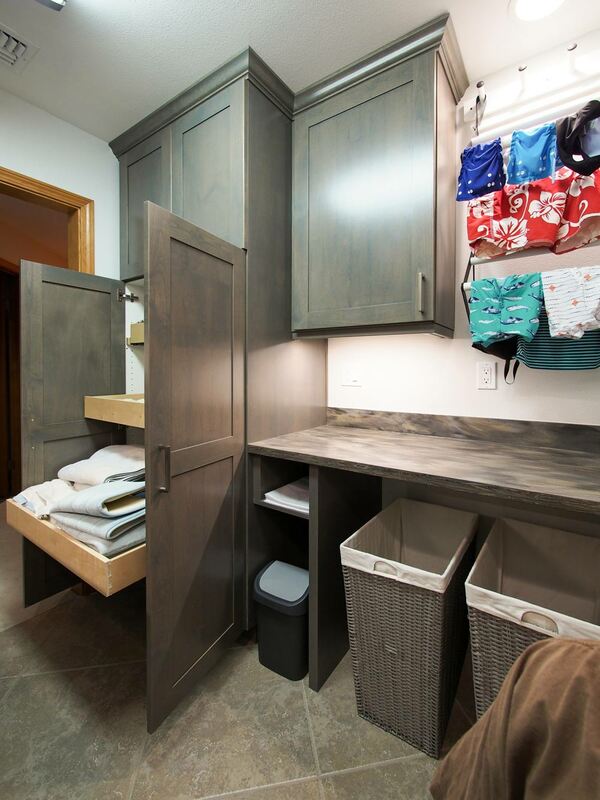 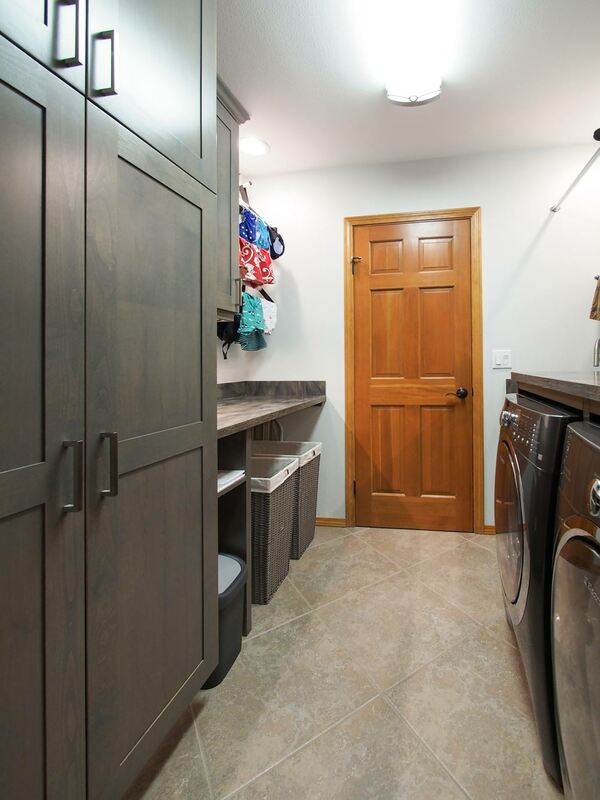 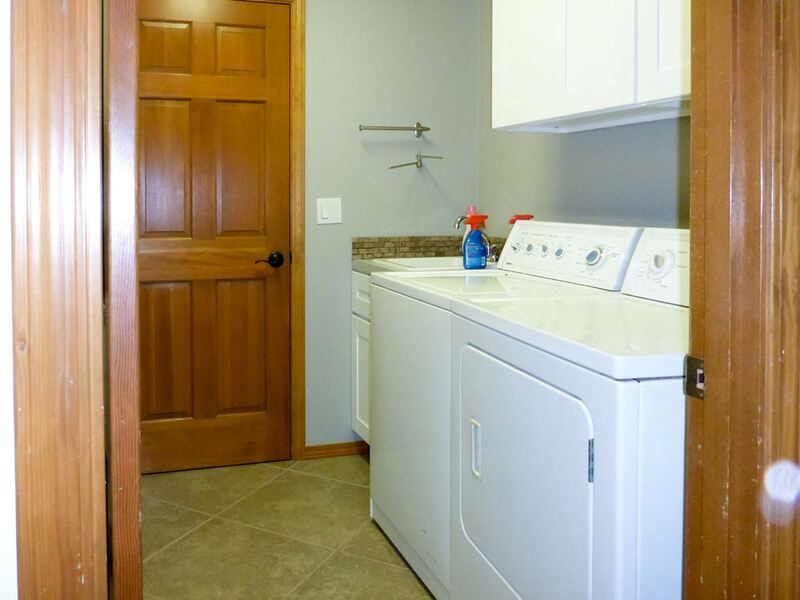 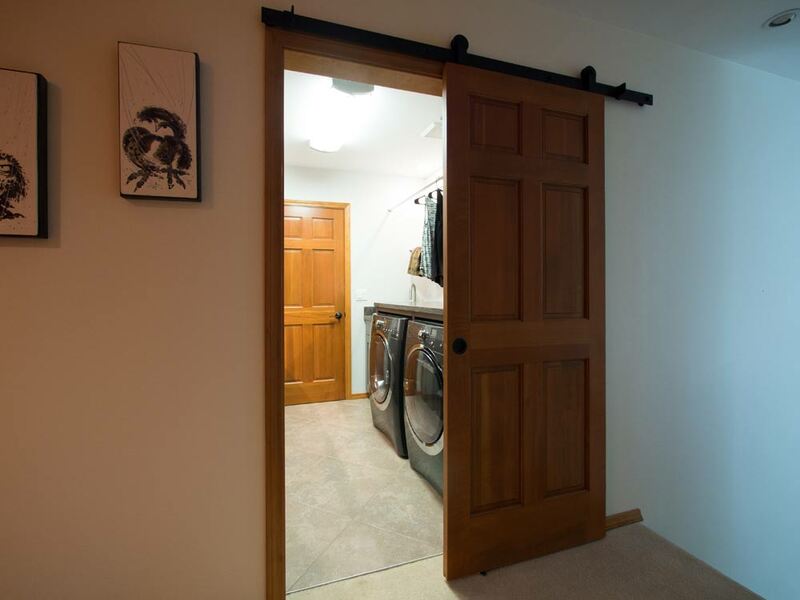 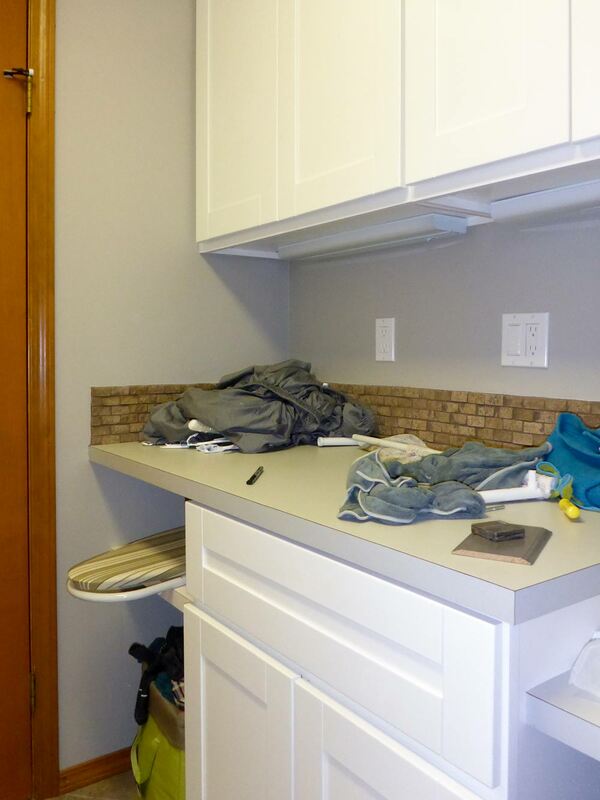 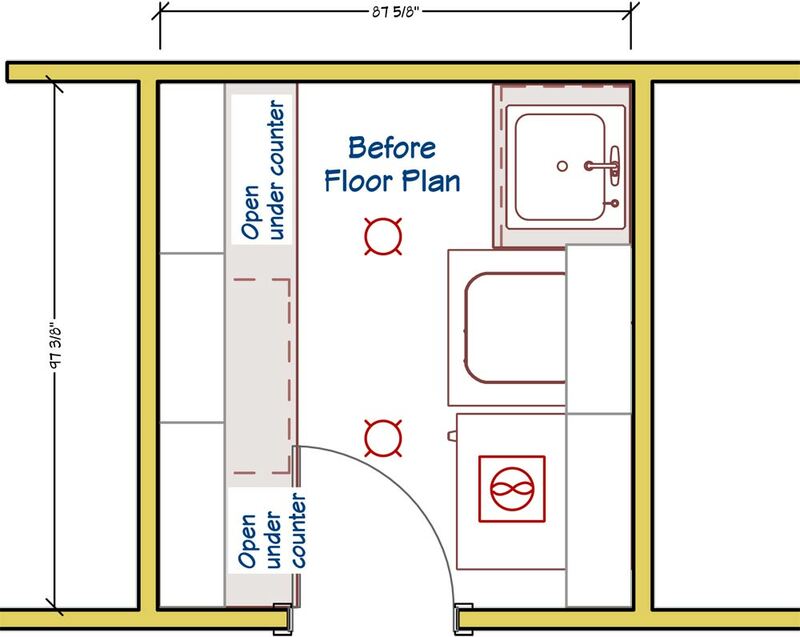 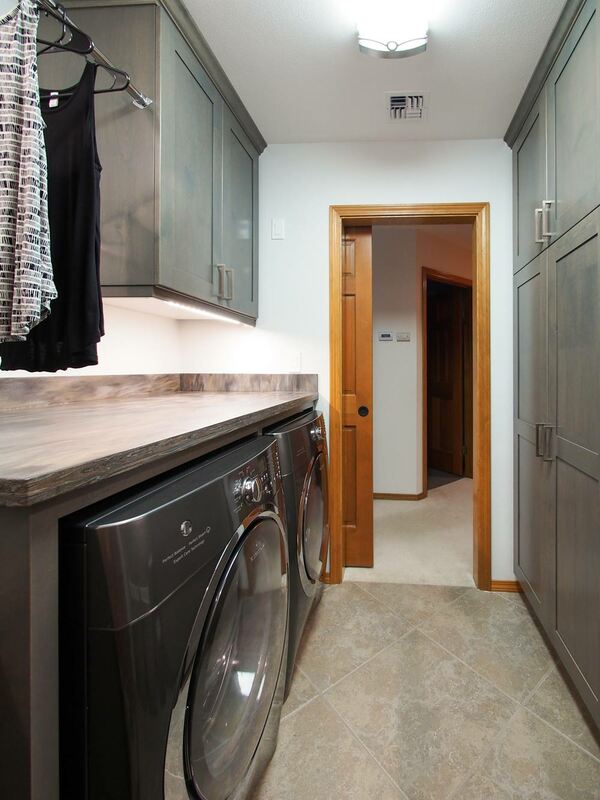 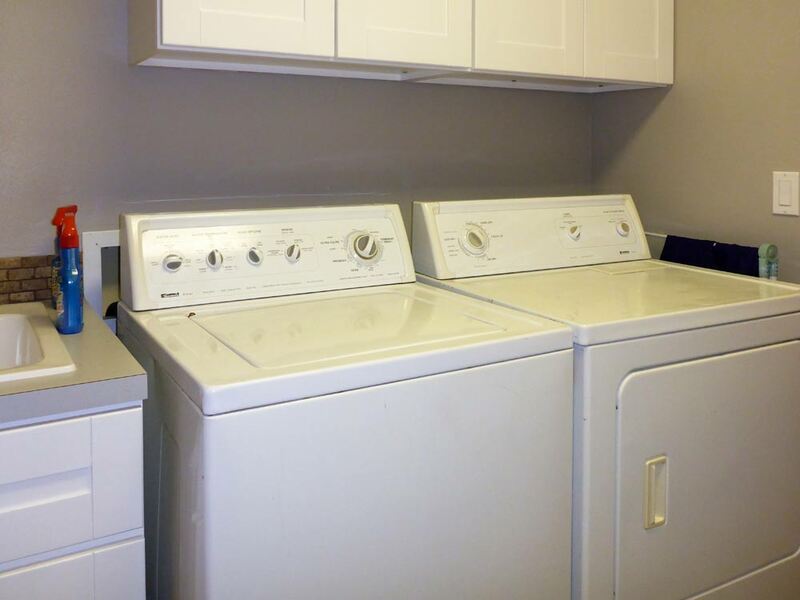 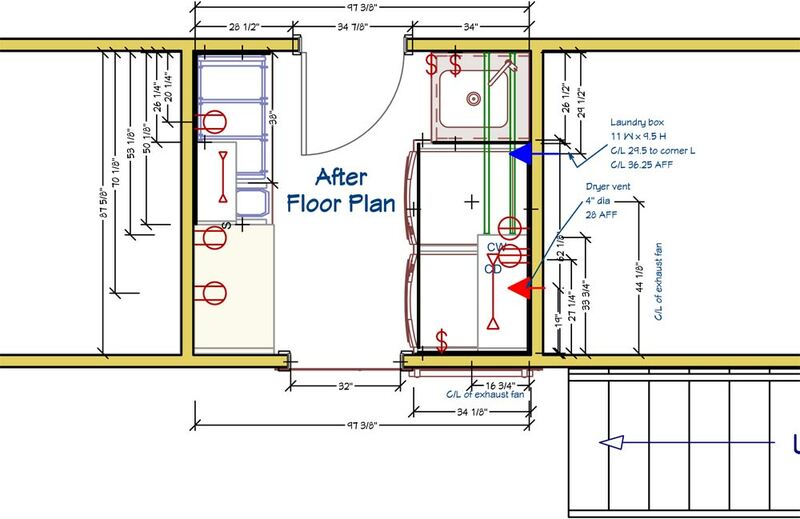 The homeowners had several requests for the remodel of their second floor laundry room. 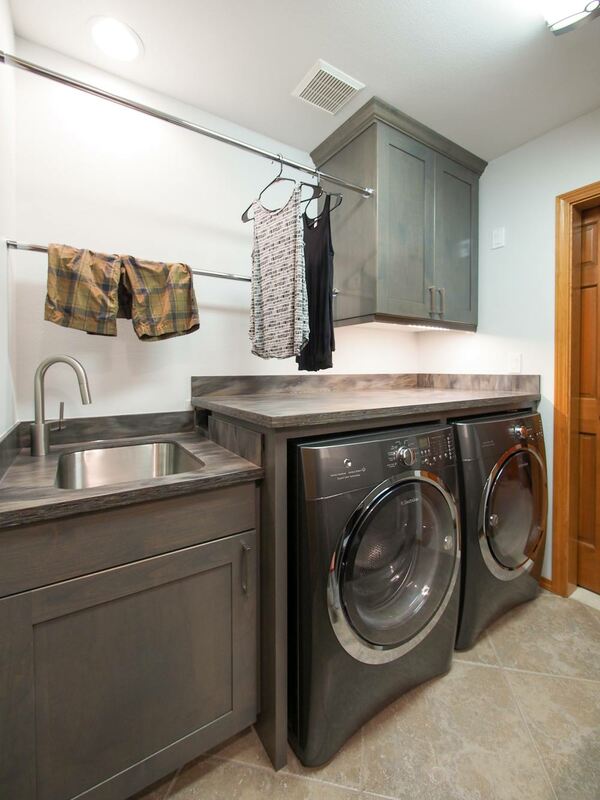 In order of importance: multiple drying racks (they like to air dry a lot of their clothes), a door that worked with their preferred laundry machines, linen storage, better lighting, reusing the existing tile floor (careful consideration had to be given to the updated cabinet layout to make sure any gaps in the tile were concealed) and lastly, a tangible modern vibe to the finishes. 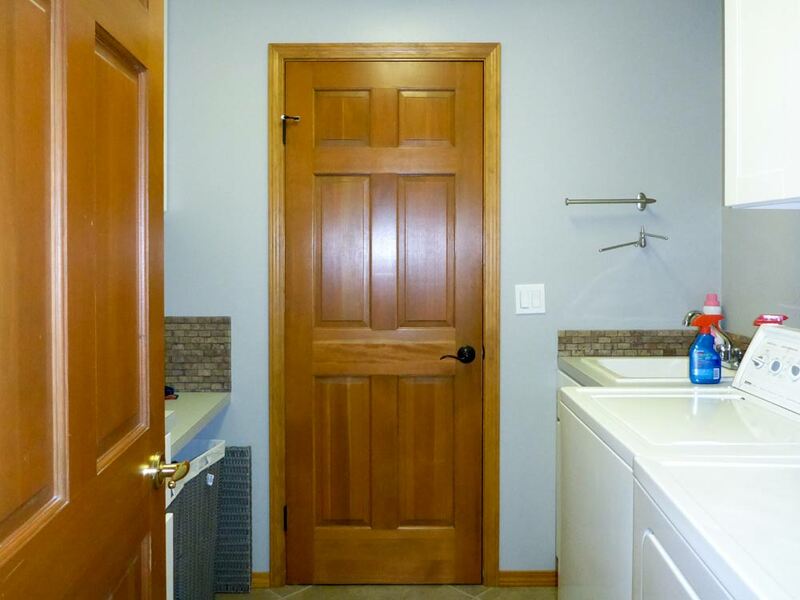 All of the above and more was delivered. 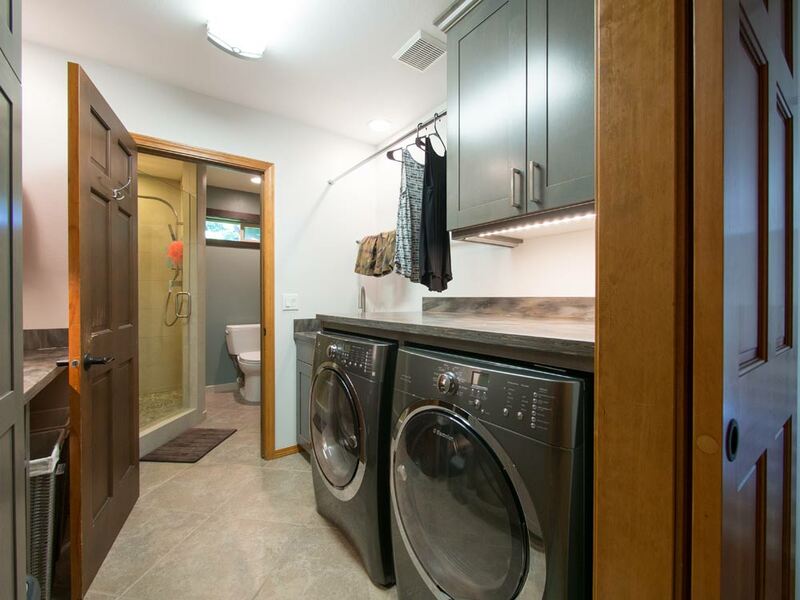 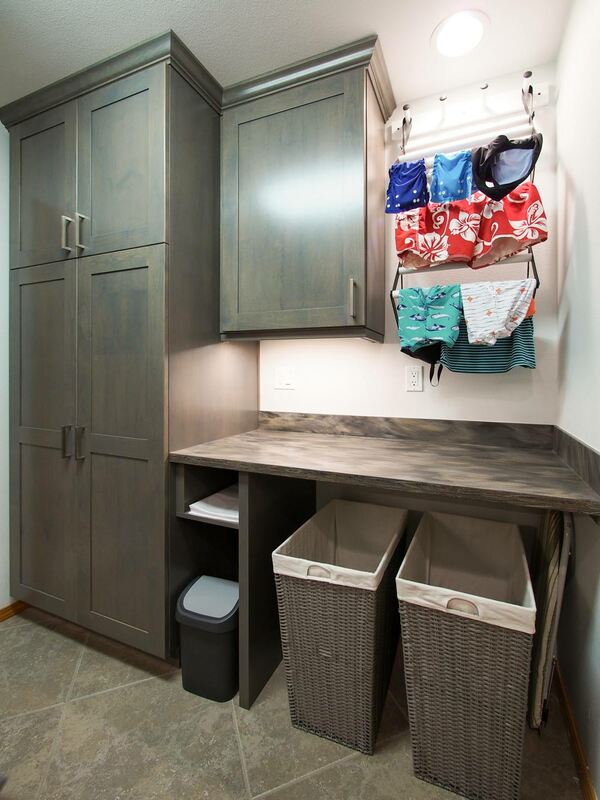 Rather than considering laundry as drudgery, the new laundry room actually makes doing laundry pleasurable.